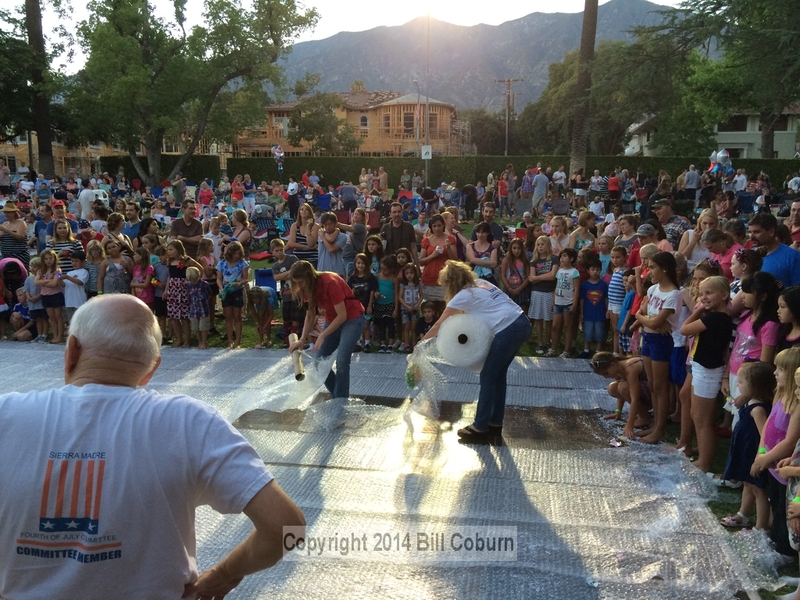 Press Release posted 2/9/15 – The Sierra Madre 4th of July Committee needs your help! Its two-day long celebration and parade has become one of the biggest events in the community. They need people with events, party planning and logistical experience to assist in producing this spectacular event. The committee is looking to fill out positions to help with the parade as well as the 3rd and 4th of July events. These volunteers will play a critical role in managing specific functions and duties either at the parade or during community celebrations. Without volunteers .. this event does not happen! Join the team that was recognized last year with the Wistaria Award “recognition of City/Community partnership, presented to a local business or organization whose major contributions to the City/Community of Sierra Madre have demonstrated a true partnership that assists in and provides services, programs, or enhances the general welfare of the community as a whole.” All committee volunteers will be given shirts and be recognized at a thank you after-party. Volunteers are also needed during the event to work the information booth, sell tickets, decorate, set-up park events, man barricades, post and take down no parking signs, and so much more. The Committee is encouraging local community groups, Boy Scouts, Girl Scouts, and non-profit organizations in town that may be interested in hosting a booth during the celebration to also contact them. If you are interested in learning more about some of these positions or have experience in any of these areas, please contact Chairman Jim Annes at 4thofjulysierramadre@gmail.com. Or join us at the next meeting Monday, March 2 at 6 pm in the Hart Park House.